Phoenix Publishing House were very encouraging from the initial contact I had with them, prepared to take an interest in a first-time author with little experience of the publishing world outside the confines of scientific papers. They have remained supportive and creative in devising ways to bring the project to completion. Phoenix is a highly dynamic publishing house that follows the adventure of the book to the end. The experienced management team is the best of the best. Phoenix is a successful, selective publishing house with an elite portfolio. Therefore, I am proud to work with Phoenix – even in pre-press work, Phoenix has shown punctuality and speed. I feel safe with Phoenix. Ferhat Atik is a Turkish Cypriot writer, scriptwriter, and director. Having lectured on economics, media, literature, and cinema at doctorate level and having published articles in newspapers and journals, Ferhat Atik then became a producer and TV and radio host. He has published many articles, several novels, and various film scripts. Silk Road, Autumn, Toy Car, Double Port, When There is Still Time, Kingdom of Lambousa, and After Tomorrow are among his published works. 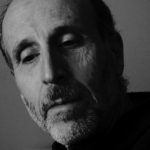 Ferhat Atik has directed and written screenplays for short films which have appeared in international film festivals, particularly in Italy, India, and the Far East. His full-length feature film, The Key, based on his own novel Autumn, premiered at the 48th International Antalya Golden Orange Film Festival and was then shown at the 31st Istanbul Film Festival in 2012. 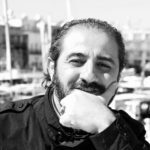 Ferhat Atik teaches creative writing and screenwriting at Girne American University and he is the owner of the Golden Pen award of Turkey, 2018. While Phoenix is, in one sense, a ‘new’ press, its editorial leadership, its core values, and its audiences represent the best of a long-standing tradition of excellence in psychoanalytic publishing. Matthew H. Bowker is a professor in political science at Medaille College in Buffalo, New York, where he teaches courses in psychoanalytic theory, political philosophy, ethics, and more. He holds degrees from Columbia University and the University of Maryland, College Park and recently (2018) completed a Fulbright grant. He is the author or editor of eleven books — including a volume on the psychoanalysis of Hikikomori and severe social withdrawal (forthcoming from Phoenix) — and several dozen articles and chapters on psychoanalysis and politics. He serves as editor (North America) of the Journal of Psychosocial Studies, co-editor of the Psychoanalytic Political Theory book series (Routledge), and sits on numerous editorial and advisory boards. I chose to work with Phoenix Publishing Company because it is large enough to provide the best in editorial support, publishing quality, and marketing, but small enough to provide the personal attention I need for my writing projects. Ira Brenner, MD, is a Clinical Professor of Psychiatry at Jefferson Medical College in Philadelphia and a Training and Supervising Analyst at the Psychoanalytic Center of Philadelphia, where he was formerly the Director of the Adult Psychotherapy Training Program. In private practice, Dr Brenner treats patients of all ages at his office in Bala Cynwyd, PA. With a special interest in the area of psychological trauma, Dr Brenner lectures worldwide and has co-edited two special issues of the International Journal of Applied Psychoanalytic Studies where he is associate editor of the trauma studies section. He has authored over 90 publications, including five books: Dark Matters: Exploring the Realm of Psychic Devastation (Karnac, 2014), Injured Men: Trauma, Healing, and the Masculine Self (Rowman and Littlefield, 2009), Psychic Trauma: Dynamics, Symptoms, and Treatment (Jason Aronson, 2004), Dissociation of Trauma: Theory, Phenomenology, and Technique (IUP, 2001), and The Last Witness: The Child Survivor of the Holocaust (co-authored with Judith Kestenberg, APA, 1996). In 2008, Dr Brenner received the President’s Award from the Psychoanalytic Center of Philadelphia for extraordinary service. He is also the recipient of the Gratz Research Prize from Jefferson for work on the Holocaust; the Bruno Lima Award in Disaster Psychiatry; the Piaget Writing Award for his 2001 book Dissociation of Trauma; and the Gradiva Award for his 2009 book Injured Men. I had given a keynote presentation on the Phoenix at Yokohama a couple of years ago. That, combined with a trusted colleague’s highly favourable recommendation of Kate and Fernando, was all I needed to convince me to accept the kind offer to publish with them. Ann Casement is a senior member of the British Jungian Analytic Association, an associate member of the Jungian Psychoanalytic Association (New York), a member of the International Association for Analytical Psychology, British Psychoanalytic Council, British Psychological Society, a founder member of the International Neuro-Psychoanalytical Association, and a New York State Licensed Psychoanalyst. She worked for several years in psychiatry from the late 1970s. She has lectured worldwide, published several books, and contributes articles and reviews to The Economist as well as to international psychoanalytic journals. Nina Coltart was born in London in 1927 and passed away in Leighton Buzzard, Bedfordshire in 1997. She read Modern Languages at Somerville College, Oxford, but went on to train as a doctor, qualifying in 1957 at St Bartholomew’s Hospital. After qualification, she worked as a psychiatrist but found more interest in her patients’ emotions and experiences than medical conditions. 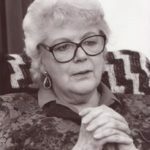 Thus, in 1961, she set up in private practice as a psychotherapist, concurrently training as a psychoanalyst with the British Psychoanalytical Society. She qualified in 1964 as an associate member, became a full member in 1969, and a training analyst in the Independent Group in 1971. She was an active member of the international psychoanalytic community, teaching and lecturing and also helping to administer various psychotherapy trainings, but she also extended the influence of analytic ideas outside that world. 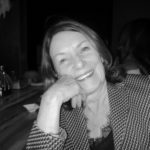 She taught extensively for the British Society on a series of courses, especially those concerned with questions of assessment and analysability. She built up an extensive consultation and referral service, concentrating on diagnosis and assessment for analytical therapy and for psychoanalysis. From 1972 to 1982, she was Director of the London Clinic, which interviews and assesses potential training cases for students of the British Society. She was Vice-President of the British Society and Chairman of its Board and Council from 1984 to 1987. She retired in 1994. She published a few papers in psychotherapy journals and three books: Slouching Towards Bethlehem… And Further Psychoanalytic Explorations (Free Association Books, 1992), How to Survive as a Psychotherapist (Sheldon Press,1993 – now reissued by Phoenix), and The Baby and the Bathwater (Karnac, 1996). The birth of Phoenix can only be celebrated as it resurrects the editorial engagement and personal care that has largely disappeared from academic publishing houses. Coline Covington, PhD, BPC received her BA in Political Philosophy from Princeton and then moved to the UK where she received her Diploma in Criminology from Cambridge and her PhD in Sociology from LSE. She worked for nearly ten years as a consultant with criminal justice agencies throughout England and set up the first UK mediation project between victims and juvenile offenders with the Metropolitan Police in London. Coline is a Training Analyst of the Society of Analytical Psychology and the British Psychotherapy Foundation and former Chair of the British Psychoanalytic Council. She is a Fellow of International Dialogue Initiative (IDI), a think tank formed by Professor Vamık Volkan, Lord Alderdice, and Dr Robi Friedman to apply psychoanalytic concepts in resolving political conflict. From 2011 to 2013, Coline was Visiting Research Fellow in International Politics and Development at the Open University and Senior Scholar at the Woodrow Wilson International Center for Scholars in Washington, DC. Coline’s publications include Terrorism and War: Unconscious Dynamics of Political Violence (Karnac, 2002), Shrinking the News: Headline Stories on the Couch (Karnac, 2014), Sabina Spielrein: Forgotten Pioneer of Psychoanalysis (2nd edition, Routledge, 2015), and Everyday Evils: A Psychoanalytic View of Evil and Morality (Routledge, 2017). Coline is in private practice in London. I chose to publish with Phoenix Publishing House because it is an independent publisher dedicated to serious works on psychotherapy; in particular I am impressed by the ‘Therapist’s Guide’ series which provides an introduction to various themes in development, clinical issues and therapeutic approaches without watering the topics down. 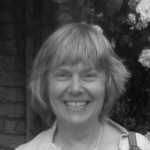 Barbara Dowds, PhD, is a humanistic and integrative psychotherapist in the Dublin area. She teaches on the BSc in counselling and psychotherapy and is director of the MA in integrative psychotherapy in the Personal Counselling Institute (PCI College). For seven years she was on the editorial board of the Irish psychotherapy journal, Eisteach. Barbara was a senior lecturer in molecular genetics at the National University of Ireland, Maynooth, until 2002 when she changed careers and began practising as a psychotherapist. I was impressed with the fondness and confidence expressed by one of the most exciting and prolific authors of our time in contemporary psychoanalysis, from his personal experience in working with you. Dr Etezady is a child psychoanalyst in private practice. He is specialised and certified in both adult as well as child and adolescent psychiatry and a fellow of the American Board of Psychoanalysis. 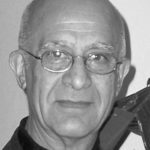 He was born and raised in Isfahan, Iran and graduated from Isfahan Medical School in 1962. He has worked in multiple settings of inpatient, outpatient, and consultation psychiatric services treating children, adolescents, and adults. For the past four decades he has served as the moderator, coordinator, contributor and is current senior co-chair of the Vulnerable Child Discussion Group of the American Psychoanalytic Association and until 2009, at the annual meetings of The Association for Child Psychoanalysis. Dr Etezady is a board member of the Margaret S. Mahler Child Development Foundation and a faculty member of the Psychoanalytic Center of Philadelphia. 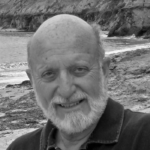 His publications include clinical, theoretical, and research work in child and adult psychoanalysis. His recent writings include updated psychoanalytic perspectives on topics including development of the self, narcissism in pathology and normality, faith and transformation, creativity and play. Since 2007, he has served as the head of the faculty and the chair of the Education Committee of the newly established Tehran Psychoanalytic Institute (TPI) where he has been actively involved in the construction and implementation of the training program in psychoanalytic psychotherapy. In the fall of 2018, TPI launched its first class of four psychoanalytic candidates, marking a historic milestone for psychoanalytic training in Iran. Kate Pearce treats her authors with such sincere devotion that I suspect Donald Winnicott would have described her as the professional epitome of “primary maternal preoccupation”. I can think of no greater compliment. He has also worked in the field of media psychology for many years and held the post of Resident Psychotherapist on BBC Radio 2 and, also, that of Spokesperson for the BBC mental health campaign “Life 2 Live”. A former Special Media Adviser to the United Kingdom Council for Psychotherapy, he currently serves as Chair of the Media Advisory Group for the British Psychoanalytic Council. In recognition of his work on the intersection between psychoanalysis and the media, he received an Honorary Visiting Professorship in the Department of Media, Culture and Language in the School of Arts at the University of Roehampton and, more recently, a Visiting Professorship in the Faculty of Media and Communication at Bournemouth University. 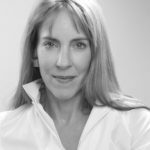 Christine C. Kieffer, PhD, ABPP, is a psychoanalyst and clinical psychologist, who has been trained to analyse children and adolescents as well as adults. In addition, she has an ABPP in group psychotherapy, and works with patients in groups as well as performing couples counselling. Dr Kieffer serves on the faculties of the Chicago Psychoanalytic Institute as well as Rush Medical School in Chicago. She is in private practice in Chicago and Winnetka, IL. Dr Kieffer is the author of numerous papers as well as three co-edited books, and a monograph, Mutuality, Recognition and the Self, published in 2014. She has served on the boards of the Journal of the American Psychoanalytic Association, Psychoanalytic Inquiry, the International Journal of Self Psychology, and PSYCHcritiques. Dr Kieffer was also the recipient of the 2013 Ticho prize given by the American Psychoanalytic Association. I chose to publish with Phoenix because I am confident from my past experience with Kate Pearce that her association with it will make Phoenix an author-friendly press dedicated to the publication of high quality work in psychoanalysis. David P. Levine is emeritus professor in the Josef Korbel School of International Studies at the University of Denver. He holds a PhD in economics from Yale University and a Certificate in Psychoanalytic Scholarship from the Colorado Center for Psychoanalytic Studies. He has published extensively in the fields of economics, political economy, and psychoanalysis. In the field of psychoanalysis, he has published books on work, creativity, ethics, and politics. His most recent publication is Dark Fantasy: Regressive Movements and the Search for Meaning in Politics. He currently lives in Santa Fe, New Mexico. I chose to publish my latest book with Phoenix Publishing House following a recommendation from a close colleague, a distinguished American psychoanalyst and author of many, many books, who told me that his best experience in the publishing world has been with the founders of Phoenix. 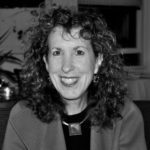 Dr Corinne Masur is a licensed clinical psychologist, a child and adult psychoanalyst, an associate supervising child analyst, and an adult supervising psychoanalyst at the Psychoanalytic Center of Philadelphia (PCOP). She has been in private practice, seeing mothers and infants, children of all ages, and adults for over thirty-five years. She is the co-director of The Parent Child Center and a founder of the Philadelphia Center for Psychoanalytic Education (PCPE) and The Philadelphia Declaration of Play, an organisation which advocates for the right of all children to have access to free, imaginative play. She is a member of The Difficult Cases Study Group at PCOP and The Child Relational Study Group of The Institute for Relational Psychotherapy and Psychoanalysis (IRPP). She is author of the blog Thoughtful Parenting (www.thoughtfulparenting.org) and she has written, lectured, and taught on a variety of subjects including early childhood bereavement, mourning, the denial of death in psychoanalysts and psychotherapists, child development, the development of trust in childhood, the effect of divorce on children, and she has recently published a book entitled Flirting With Death: Psychoanalysts Consider Mortality. She is on the faculty at PCOP and is a three-time recipient of the J. Alexis Burland Award for excellence in teaching. I chose Phoenix because they offer a really personal approach, as a new publishing house they offer their authors something fresh. They have a wide range of experience and interest. David Morgan is a consultant psychotherapist and psychoanalyst fellow of the British Psychoanalytical Society. He is also a training analyst supervisor at the British Psychoanalytic Association, and a lecturer recognised nationally and internationally. He co-edited Violence, Delinquency and Perversion (2007) and authored many publications and chapters, most recently ‘Inflammatory Projective Identification in Political and Economic Terrorism’ in Psychoanalytic Psychotherapy (2018), as well as ‘The Return of the Oppressed’, a speech given at the Warsaw EPF Conference (2018). He is currently a Director of Public Interest Psychology Ltd as well as a member of the IPA committee on Humanitarian Organisations. He is the chair of The Political Mind Seminars and of Frontier Psychoanalyst, a radio broadcast series on Resonance FM. I chose Phoenix Publishing House primarily because of my positive experience working with Kate Pearce on my books with Salman Akhtar. She was an excellent editor, gentle and congenial. I was also impressed with the fact that as a woman she had founded her own publishing company and wanted to continue to work with her. 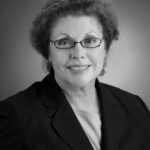 Mary Kay O’Neil, PhD, CPsych, is a registered psychologist and supervising and training psychoanalyst in private practice. She is a former Director of the Canadian Institute of Psychoanalysis (QE), served as NA Representative on the Board of the International Psychoanalytical Association, and currently is a member of the Toronto Psychoanalytic Society Board. She is also on the Toronto Institute of Psychoanalysis faculty and a member of several committees (curriculum, student progress, institute membership). 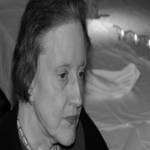 Dr O’Neil authored “The Unsung Psychoanalyst: The Quiet Influence of Ruth Easser” and has co-authored/edited seven books, has presented widely and contributed articles as well as chapters and book reviews. Her research projects on psychoanalytic ethics, young adult development, psychosocial factors and depression in young adults, and sole support mothers have been funded by foundations in Toronto and Montreal. Phoenix Publishing House brings together deep experience in the publishing world along with the enthusiasm and personal commitment of the ‘new kid on the block’ – a terrific combination. Very exciting projects to look forward to from Phoenix. 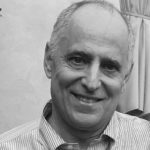 Dr Harvey Schwartz is a training and supervising analyst at the Institute for Psychoanalytic Education (IPE), affiliated with the New York University School of Medicine, and at the Philadelphia Center for Psychoanalysis. He is the immediate past chair of the Certification Examination Committee of the American Psychoanalytic Association and currently serves on the Board of Directors of the American Board of Psychoanalysis. He serves as the chair of the International Psychoanalytical Association and Health committee. 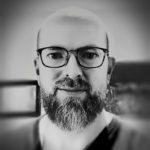 He is a contributor to and (co)editor of four books including Psychodynamic Concepts in General Psychiatry and Illness in the Analyst: Implications for the Treatment Relationship. He is the founder of the Jewish Thought and Psychoanalysis lecture series and website. After glowing recommendations from valued colleagues, I found Phoenix to be as receptive and resourceful as my colleagues had indicated and Kate Pearce to be warm, enthusiastic, and sophisticated. 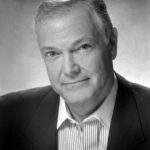 Edward R. Shapiro, MD, was the Medical Director/CEO of the Austen Riggs Center from 1991 to 2011. A board-certified psychiatrist, psychoanalyst, family researcher, and organisational consultant, he is also Clinical Professor of Psychiatry at Yale University School of Medicine and Principal of the Boswell Group. A founding member of the Psychoanalytic Society and Institute of the Berkshires, Dr Shapiro is a training and supervising analyst. An organisational consultant for over thirty-five years, Dr Shapiro has consulted with hospitals, mental health clinics, law firms, and family businesses. He has published over fifty articles and book chapters on human and organisational development, family functioning, and personality disorders, presenting papers in this country and abroad. His book (with A. W. Carr), Lost in Familiar Places: Creating New Connections between the Individual and Society, was published by Yale University Press as was his edited book, The Inner World in the Outer World. A distinguished life fellow of the American Psychiatric Association, he is also a fellow of the A. K. Rice Institute and the American College of Psychoanalysis. Dr Shapiro has received the Felix and Helene Deutsch Scientific Award from the Boston Psychoanalytic Society, the Research Prize from the Society for Family Therapy and Research, and the Philip Isenberg Teaching Award from McLean Hospital. In 2007, he was named Outstanding Psychiatrist for Advancement of the Profession by the Massachusetts Psychiatric Association and since 2011 has been on US News & World Report’s list of “Top Doctors”. Friendly, supportive, efficient, straightforward, and a delight to work with – my new publisher Phoenix. 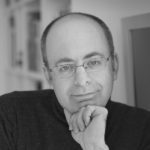 Dr Jonathan Sklar, MBBS, FRCPsych is a training and supervising psychoanalyst of the British Psychoanalytical Society. 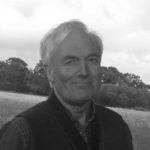 Originally trained in psychiatry at Friern and the Royal Free Hospitals, he later trained in adult psychotherapy at the Tavistock Clinic, London. For many years, he was consultant psychotherapist and head of the psychotherapy department at Addenbrooke’s and Fulbourn hospitals in Cambridge. He now works in full-time analytic practice in London. 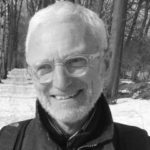 As well as lecturing widely across the world, he has taught psychoanalysis annually in South Africa for over ten years, termly in Chicago for ten years until 2018, as well as regularly across Eastern Europe. From 2007 to 2011, he was vice president of the European Psychoanalytic Federation, with special responsibility for seminars for recently qualified analysts as well as new analytic groups in East Europe. He is presently a board member of the International Psychoanalytical Association. He is the author of two previous books: Landscapes of the Dark: History, Trauma, Psychoanalysis (Karnac, 2011) and Balint Matters: Psychosomatics and the Art of Assessment (Karnac, 2017). I have chosen Phoenix for my publishers because I don’t want to be one of the hundreds of authors who are run along a conveyor belt; the experience of a relationship in which there are mutual respect and a shared ambition as well as the knowledge that I will be supported at every stage of the process makes Phoenix the obvious and happy choice. Philip Stokoe, BSc, MSc, CQSW, FInstPsychoanal is a psychoanalyst (Fellow of the Institute of Psychoanalysis) in private practice working with adults and couples, and an organisational consultant, providing consultation to a wide range of organisations since he qualified in 1983 at the Tavistock Centre. He was Honorary Visiting Professor, Mental Health for three years at City University, where he is helping to set up a radically new way to train mental health nurses based on psychoanalytic principles. He worked as a Consultant Social Worker in the Adult Department of the Tavistock & Portman NHS Foundation Trust between 1994 and 2012, where he was the Clinical Director of the Adult Department from 2007 to 2011. He has developed a reputation as a successful teacher and has taught and written about the application of psychoanalysis in a wide range of settings: supervision, leadership, groups, organisations, ethics, borderline disorder, adolescence, residential work, working with victims of sexual abuse, psychological services in the NHS, couple relationships, and politics. Whilst at the Tavistock, he developed a model for understanding organisational dynamics, which has come to be called the Healthy Organisation Model. With his wife, Mary Morgan, he has developed a theory about a stage of human development that they call the “Creative Couple” state of mind. He has a particular interest in human creativity as it relates to the development of the mind and the central role of curiosity and interest. His early experience as an actor has left him with an abiding interest in theatre, art and cinema. He has published a number of papers and is working on his first book, based around the importance of curiosity to the continuing development of the human mind, to be published by Phoenix Publishing House in November 2019. Watch this space for further information! Having worked with the publisher previously gives me confidence that Phoenix Publishing House will be a great success. Vamık Volkan, MD, DFLAPA received his medical education at the School of Medicine, University of Ankara, Turkey. 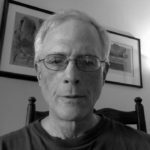 He is an Emeritus Professor of Psychiatry at the University of Virginia, Charlottesville and an Emeritus Training and Supervising Analyst at the Washington Psychoanalytic Institute, Washington, DC. In 1987, Dr Volkan established the Center for the Study of Mind and Human Interaction (CSMHI) at the School of Medicine, University of Virginia. CSMHI applied a growing theoretical and field-proven base of knowledge to issues such as ethnic tension, racism, large-group identity, terrorism, societal trauma, immigration, mourning, transgenerational transmissions, leader-follower relationships, and other aspects of the national and international conflict. 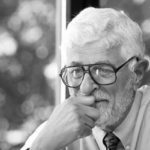 A year after his 2002 retirement, Dr Volkan became the Senior Erik Erikson Scholar at the Erikson Institute of the Austen Riggs Center, Stockbridge, Massachusetts, and he spent three to six months there each year for ten years. In 2006, he was Fulbright/Sigmund Freud-Privatstiftung Visiting Scholar of Psychoanalysis in Vienna, Austria. Dr Volkan holds honorary doctorate degrees from Kuopio University (now called the University of Eastern Finland), Finland; from Ankara University, Turkey; and from the Eastern European Psychoanalytic Institute, Russia. He was a former president of the Turkish-American Neuropsychiatric Society, the International Society of Political Psychology, the Virginia Psychoanalytic Society, and the American College of Psychoanalysts. Among the many awards he has received are the Nevitt Sanford Award, Elise M. Hayman Award, L. Bryce Boyer Award, Margaret Mahler Literature Prize, Hans H. Strupp Award, the American College of Psychoanalysts’ Distinguished Officer Award for 2014, and the Mary S. Sigourney Award for 2015. He also received the Sigmund Freud Award given by the city of Vienna, Austria in collaboration with the World Council of Psychotherapy. He has also been honoured on several occasions by being nominated for the Nobel Peace Prize with letters of support from 27 countries. 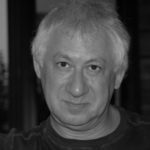 Dr Volkan is the author, co-author, editor, or co-editor of over fifty psychoanalytic and psychopolitical books, including Enemies on the Couch: A Psychopolitical Journey through War and Peace. Currently, Dr Volkan is the President Emeritus of the International Dialogue Initiative (IDI), which he established in 2007. He continues to lecture nationally and internationally. I chose to publish with Phoenix Publishing House because of the personal recommendation from a close colleague and because I like the idea of you starting your own publishing house with fresh ideas (as your name suggests). 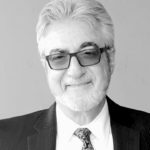 Thomas Wolman, MD, was born and raised in New York City, where he now lives after residing in Philadelphia PA for forty-four years. He attended Johns Hopkins University and the Pennsylvania State University Medical College. Subsequently, he trained at the Philadelphia Psychoanalytic Center, where he taught in both the psychoanalytic and the psychotherapy training programs. Until his move, he held the title of assistant clinical professor of psychiatry at the University of Pennsylvania School of Medicine. 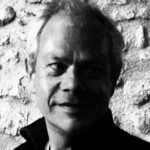 He has written on Winnicott, Mahler, Kohut and Lacan, as well as on contemporary films, and more recently on greed, bereavement and privacy issues. Currently, he teaches a course on the history of psychoanalysis at the New York Psychoanalytic Institute.